The classic, transitional design of the 469LF pull-out kitchen faucet allows it to blend with almost any dicor style. This Delta faucet provides a practical, hardworking solution that will stand the test of time, every time. Delta is a reflection of your personality and is as individual as you are. Classically modern, the 2-12 inch Bar pull from Liberty gives your room contemporary style. 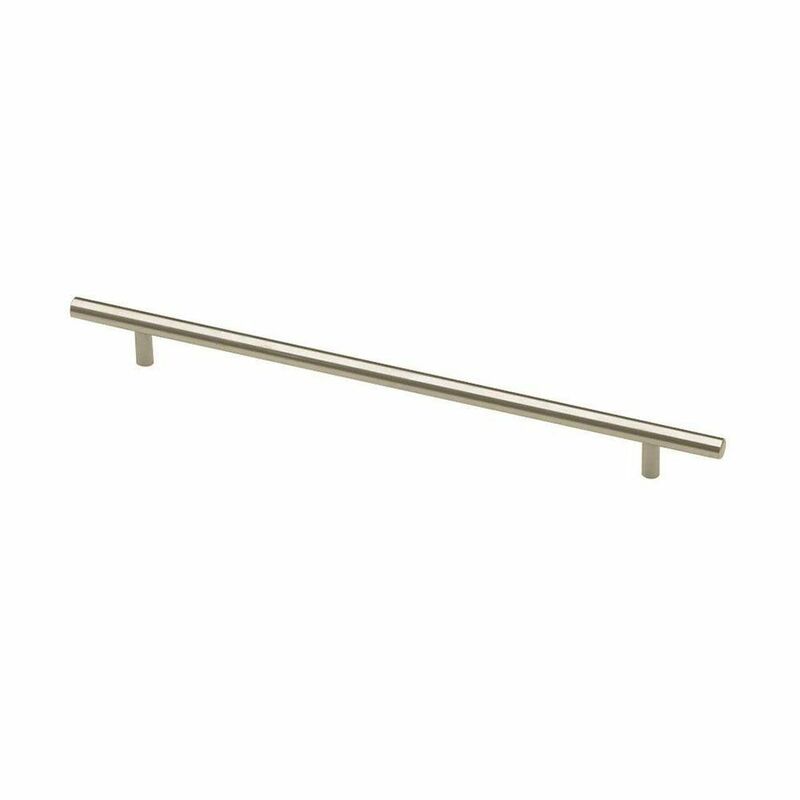 Perfect for any room in the home, the bar pull is understated yet bold. The sleek Brushed Steel finish gives it timeless appeal. 288/368mm Steel Bar Pull Sleek and sophisticated, this design makes a contemporary European statement with simplistic, straight lines. Multiple finishes and sizes available. Installs easily with included hardware and is a noticeable change for any cabinetry. 288/368mm Steel Bar Pull is rated 4.7 out of 5 by 20. Rated 5 out of 5 by Nicole from Very nice, Good weight and a clean look. ... Very nice, Good weight and a clean look. Rated 5 out of 5 by Patricia from Excellent quality and beautiful!! Was the finishing touch to my... Excellent quality and beautiful!! Was the finishing touch to my gorgeous new kitchen!! Rated 3 out of 5 by Joanpavi from Two of them where defectuos,I had to use some metal... Two of them where defectuos,I had to use some metal putty to keep it on place and I didn't wanted to order extra handles because of time issue. Rated 5 out of 5 by Sonja from The item was completely as I expected.... The item was completely as I expected.